Johnson & Johnson (JNJ) engages in the research and development, manufacture, and sale of various products in the health care field worldwide. The company operates in three segments: Consumer, Pharmaceutical, and Medical Devices and Diagnostics. 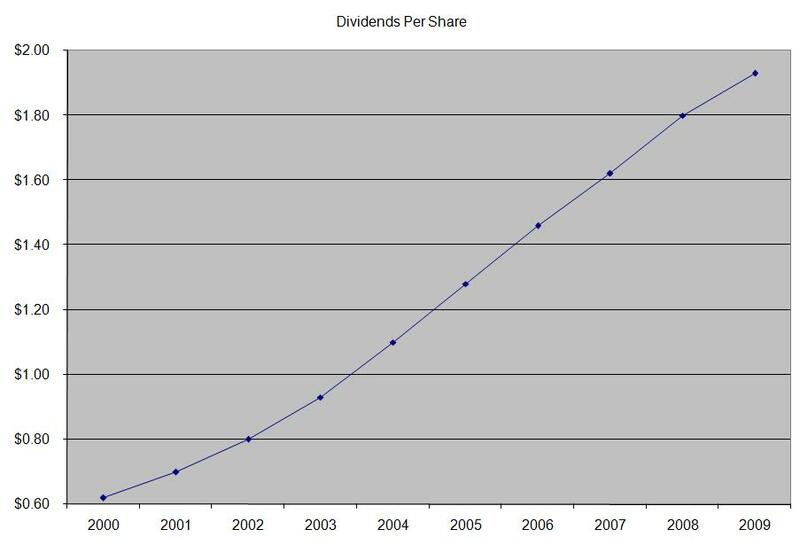 The company is a dividend aristocrat which has increased distributions for 48 years in a row. One of the company’s largest investors is no other than Warren Buffett’s Berkshire Hathaway. Over the past decade this dividend stock has delivered an annualized total return of 4.10% to its loyal shareholders. The company has managed to deliver an average increase in EPS of 11.10% per year since 2000. 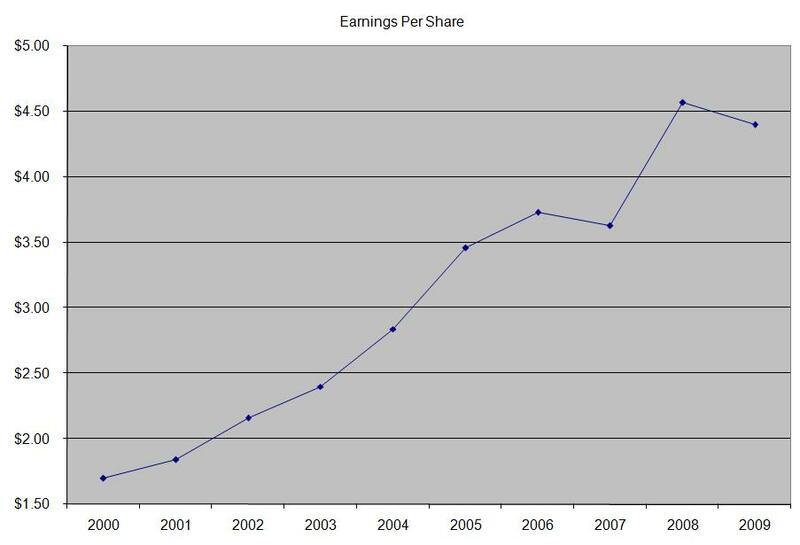 Analysts expect Johnson & Johnson to earn $4.75 per share in 2010 and $4.99 per share in 2011. 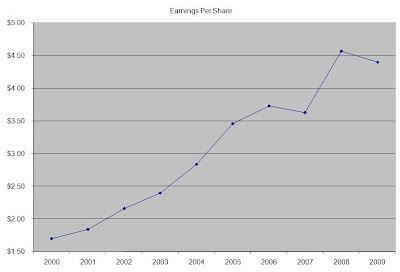 This would be a nice increase from the $4.40/share the company earned in 2009. The company’s return on equity has remained above 25%, with the exception of a brief decrease in 2006 and 2007. 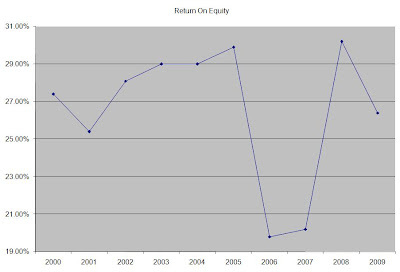 Rather than focus on absolute values for this indicator, I generally want to see at least a stable return on equity over time. The annual dividend payment in US dollars has increased by 13.40% per year since 2000. 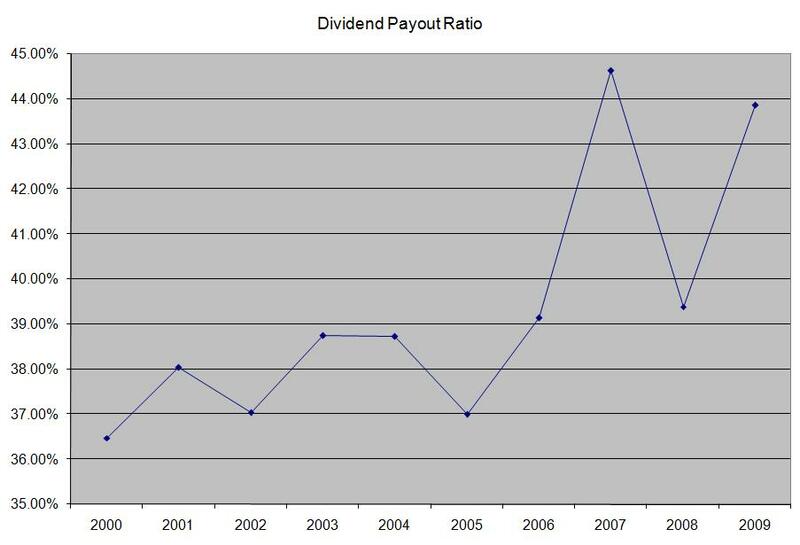 A 13% growth in distributions translates into the dividend payment doubling every five and a half. If we look at historical data, going as far back as 1972, we see that Johnson & Johnson has actually managed to double its dividend every five years on average. 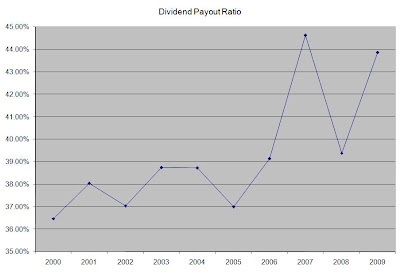 Over the past decade the dividend payout ratio has increased from 37% in 2000 to 44% in 2009. A lower payout is always a plus, since it leaves room for consistent dividend growth minimizing the impact of short-term fluctuations in earnings. Currently, Johnson & Johnson is attractively valued at 12.80 times earnings, yields 3.50% and has a sustainable dividend payout. In comparison Abbott Laboratories (ABT) yields 3.60% and trades at a P/E of 15.60. I would continue monitoring Johnson & Johnson and will consider adding to a position in the stock on dips.